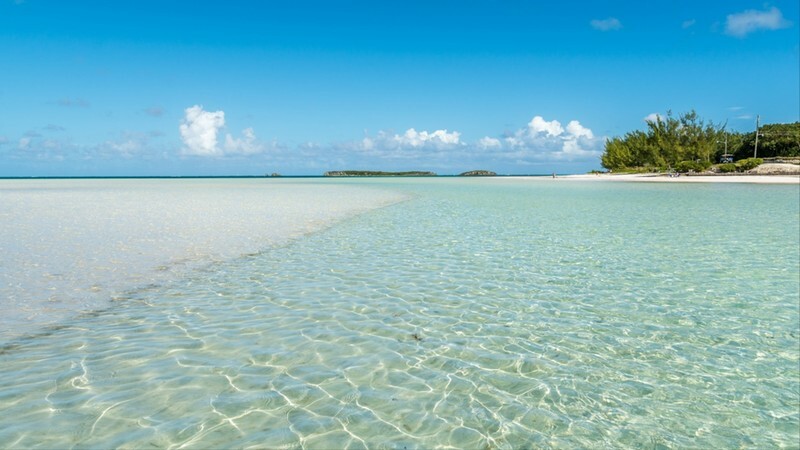 A picture-perfect example of the beautiful Bahamas – Eleuthera boasts 175km of pale flamingo pink sands, warm turquoise waters, amazing anchorages, and a generous dose of laid back luxury. Eleuthera also has her wild side – and the Greek translation of the name means freedom, which is more than fitting for a yacht charter destination that quite simply lets you be. Days are lost to sundeck lounging, soaking up the pastel vibes of Harbour Island, and watching the Atlantic swell crash into the cliffs. As a yacht charter destination, Eleuthera boasts one of the most amazing beach scenes in the whole of the Bahamas. Its as though the whole island is paved with pink coral reef and the fringed throngs of palm trees. Eleuthera doesn’t just stick to the clichés of Caribbean waters, while on one side of the island you will find the sweet calm hues of the Caribbean, the other side offers the wild whipped swells and surf spots of the Atlantic. From snorkeling at Ben Bay to splashing in Rainbow Bay – utter beach bliss is waiting. While you wouldn’t think the Bahamas was synonymous with surfing, Eleuthera is one of the islands that throws up some sumptuous Atlantic swells. Over in Gregory Town is where you will find the best spots for board rental along with lessons for those who aren’t well versed in dancing on waves. If surfing isn’t your thing, then sailing lessons and windsurfing are also on the cards. Plenty of coastline to play on Jet-Skis, hidden coves and grottos and the chance to try spearfishing – Eleuthera is an ocean lover’s playground. Eleuthera, and indeed many Bahamian spots for yacht charters are all about embracing the world of water. While bone fishing and snorkeling are hot on the island of Eleuthera, this Caribbean pearl is also best known for its wealth of wonderful diving spots. Shipwreck diving can be done on Buttonwood Beach and the Current Cut has been rated as one of the top ten dive sites in the whole world. The Devils’ Backbone is also an amazing spot for coral garden diving. Yacht charter guests sailing around Eleuthera will find themselves smitten by the pastel painted hues of the pretty villages. From Gregory Town with its annual pineapple festival and local handicrafts to the famed Harbor Island with its rambling golf carts and celebrity spotting, or Spanish Wells with its wonderful 19th century fishing cottages – romantic spots don’t fall short on Eleuthera. Yacht charters in Eleuthera should all be aiming for one spot – the happiness of Harbor Island. Celebrated as one of the best islands in the whole of the Bahamas, this glitzy little gem is utterly enchanting. Coral pink sands, lush beaches for lounging, pastel painted homes, and French bistros all congregate on the shore. As cars are banned, golf buggies hurtle around avoiding roaming chickens and it isn’t a rare occurrence to rub shoulders with celebrity visitors. In the centre of Eleuthera, the sleepy capital of Governors Harbor is the home for local life. Fewer tourists make their way to the small fisherman outpost, where the catch of the day comes in at 3pm sharp, and the locals welcome you with sheer ease and a smile. On Friday nights the pace picks up a little down on Fish Fry street where Bahamian food comes with a kick, the beer is on ice, and locals dance beneath the stars. 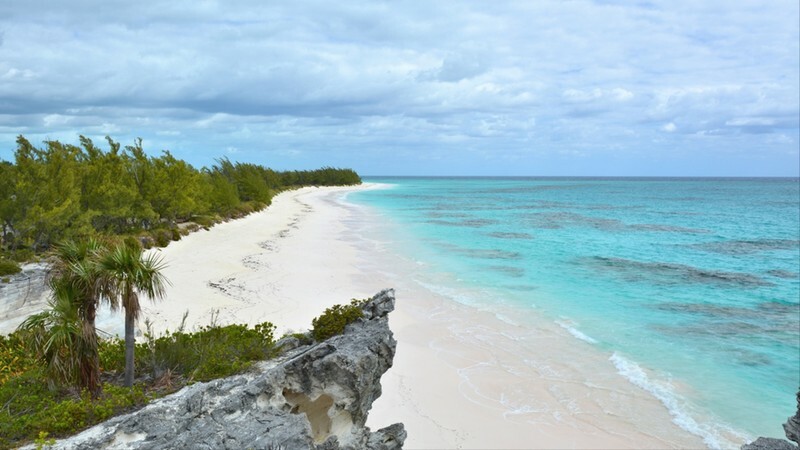 On the northern tip sits the Spanish Wells - a must for yacht charter guests looking for powder soft beaches and sublime snorkeling in Eleuthera. 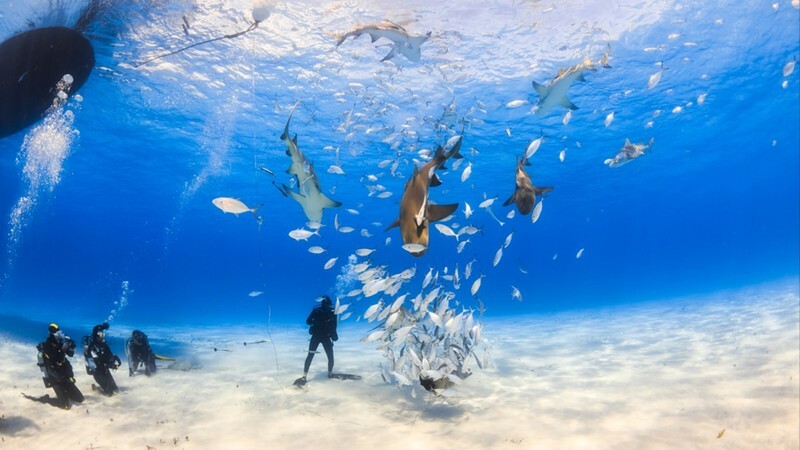 Once upon a time this spot was used as a safe haven for Spanish sailors, now it is a soft heaven for tourists wanting to duck down beneath the blue and discover the underwater world that makes the Bahamas such a beatific snorkeling and diving spot. This is also the coastline where Eleuthera fishes for its langoustines, meaning that lobster brunches on deck are a must. A low-key yacht charter spot for most of the year, its only when the pineapple festival rolls into Gregory Town that the energy hits an all time high. Gregory Town was once the cove used by pirates to smuggle prickly pineapples and every year this fact is celebrated by all things fruity. Pineapple eating contests, pageants, and a wonderful local feel filters through the charming streets of pastel painted Gregory Town. Even when celebrations aren’t in swing, you will still be smitten by the tart and tangy pineapple tarts sold in the famed local bakery. December until March marks the high season for yacht charters in Eleuthera, as everyone is looking for their wonderfully warm winter escape. During this time, the beaches buzz, the waters offer a soft embrace, and sunsets are epic. Outside of the high season and you will find fewer crowds and better deals. June should be avoided for those looking to skip hurricane season.